The Outlaws were one of the most enduring and popular of bands to emerge from the great 'Southern Rock' boom in the USA in the mid-70s. The band came from Florida, and their history stretched back into the late 1960s. A more detailed story of how the band coalesced can be found in my note for the Retroworld reissue of their self-titled debut album and their third, Hurry Sundown. Like fellow Southern Rockers Lynyrd Skynyrd, the band boasted a three-pronged lead guitar line-up (known affectionately by their substantial fan base as The Florida Guitar Army) but in Hughie Thomasson, Billy Jones and Henry Paul allowed much more in the way of tasteful Country picking to bleed in as an influential strand compared to the Skynyrd Blues-Rock sound. The Outlaws were the first Rock act signed to the Arista Records label, an imprint set up and helmed by Clive Davis, the legendary former chief of the Columbia / CBS label, affecting the change of the label emphasis into the contemporary Rock scene late in the 1960s, with such signings as Santana, Johnny Winter and many others. 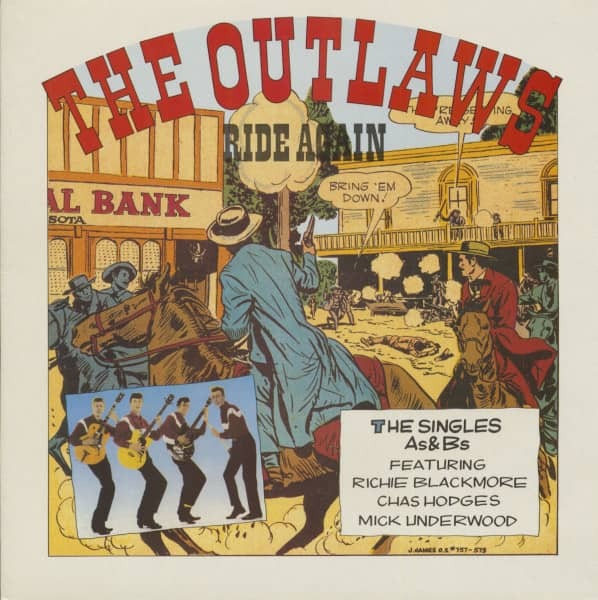 The Outlaws debut album, released in 1975, proved that Davis still possessed substantial commercial nous, when it charted just outside the Billboard US Top Ten album chart. An impressive set of American Classic Rock, it still sounds remarkably fresh, nearly forty years down the line. However, by the late seventies, the Southern Rock phenomenon was on the wane. The act that kicked the whole shebang into gear, The Allman Brothers Band, had sundered in a morass of drug abuse and allegations of treachery, Lynyrd Skynyrd had been torn apart when several members of the band were killed and some seriously injured in a plane crash, and New Wave Rock was starting to become more of a commercial force (indeed, Clive Davis again showed genuine foresight in his signing of The Patti Smith Group, whose epochal debut album, Horses, was released later in 1975). The first of this top-value two album set, Playin' To Win, was released in 1978, and was their fifth album. It came after an in-concert double set, Bring It Back Alive. 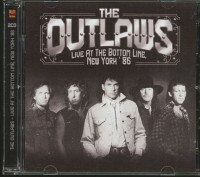 When bands back in those days released a double live set, it frequently indicated that a potential change was on the cards; this proves to be the case with the Outlaws; Bring It Back Alive, like its preceding studio album, Hurry Sundown, had been produced by Bill Szymczyk, with his engineering sidekick, Allan Blazek, who had worked on The Eagles' Hotel California and a slew of other US rockers (such as the J GeiIs Band, Joe Walsh and Santana). For Playin' To Win, the production chair was filled by British sound man Robert John 'Mutt' Lange. Interestingly enough, Lang's production résumé up until then had largely been filled with British New Wave and alternative rock clients, such as Graham Parker & The Rumour, The Motors, The Boomtown Rats and Kevin Coyne. Perhaps the thought behind the choice of Lang was that the band could steal something of a march on the changing musical times and move ahead of the game, rather than have change forced upon them. Even the album cover image, featuring a masked geezer clutching a hand of playing cards had more of a New Wave feel to it than their previous sleeves, which tended to feature band photos. 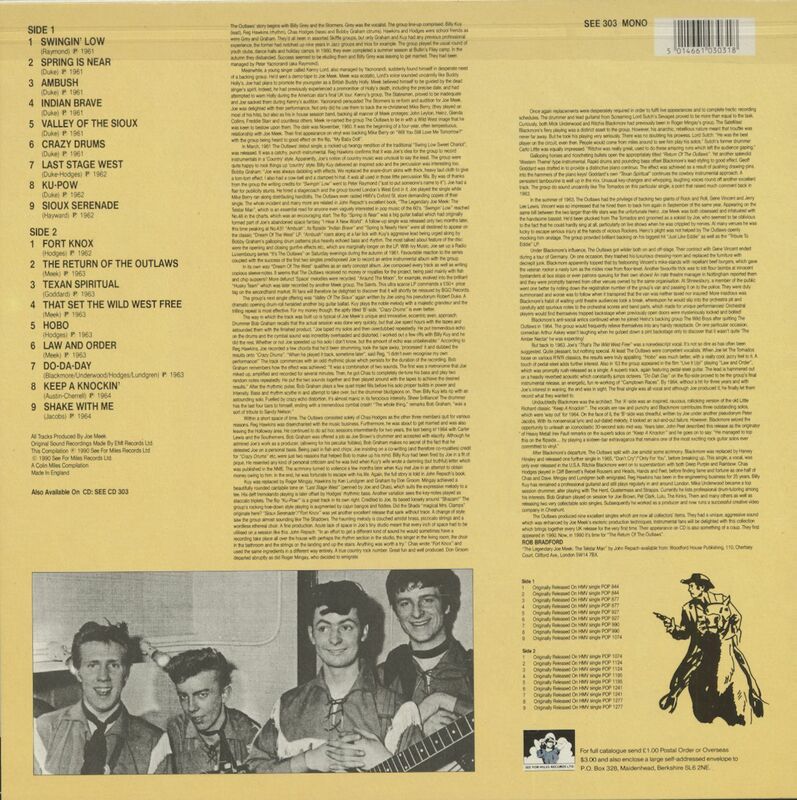 Further study of the personnel on the album showed that guitarist / vocalist / composer Henry Paul had departed, replaced by Freddie Salem on guitars and vocals, joining the otherwise solid line-up of Hughie Thomasson (acoustic guitar, banjo, pedal steel guitar, electric guitar, vocals), Mike Duke (keyboards), Billy Jones (guitar, vocals), Harvey Dalton Arnold (bass, vocals), and the percussive pairing of David Dix and Mone Yoho. It's not an album that overstays its welcome, either, at a shade over thirty-four minutes, but the band had always traded in quality songs, allied to sterling musicianship and superb harmony vocals, and there is a motherlode of that herein. Anticipating that change was in the air, the Outlaws sound takes on a slicker sound and feel, but without gimmicky 'New Wave' affectations. 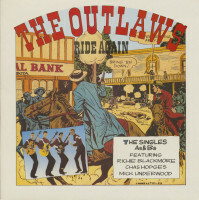 Henry Paul's departure took much of the Country elements out of the band sound, and Lang added some subtle polish to the Outlaws hitherto more rougher-edged sonics, but the songs perhaps demanded more of this approach. Billy Jones chips in with his usual high-quality compositions, especially If Dreams Came True, which is relaxed in feel, subtly shaded with light percussion work and his A Real Good Feelin' engenders just the mood that the title suggests. The album closer is a cover of The Sutherland Brothers and Quiver song, Dirty City, from their Reach For The Sky album, which is the longest track on Playin' To Win, and at last gives the band a forum for their acknowledged jamming skills. It's a suitable end to a tasteful and accomplished album which gains in stature with successive plays. Playin' To Win charted at a solid peak of number sixty in the US album charts, enjoying a decent eighteen-week chart tenure in late 1978. If the album showed a more laid-back side to the band sound, then 1980's Ghost Riders blasts that into the stratosphere by way of a more unapologetically hard rocking sound. 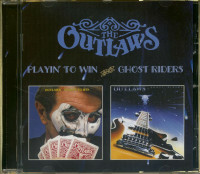 Produced by Gary Lyons, whose credits including Night in the Ruts by Aerosmith, Foreigner and Trillion perhaps give an indication of what he brought to the Outlaws sound herein, Ghost Riders displays its rocking intent from the sleeve on in, the cover image being a Gibson Les Paul guitar floating in space, a little reminiscent perhaps to that of the band Boston on their album covers. The band line-up had endured more changes; bassist Rick Cua coming in to replace Arnold, and Yoho had left altogether, leaving Dix as the sole drummer in the personnel. Opening with the hoary Country chestnut, Ghost Riders In The Sky, and some nimble acoustic guitar work from Thomasson, it soon builds to a remorseless rocking gallop, a sound that appealed enough to the US public to peak at number thirty-one in the US singles chart. The change of musical direction certainly yields dividends in White Horses, and the lissom guitar interplay on Angels Hide is certainly up to the standards set of yore. The album ends on a jam-friendly note with Freedom Walk, another Outlaws belter that ranks with their finest to date. The hit single and gutsier approach was enough to make Ghost Riders the second-highest charting album of the band's career, achieving a top placing of twenty-five in December 1980, and staying on the charts for an impressive six months. The Outlaws would go on to record for Arista and other labels, eventually splitting and reforming. There's still a version of the band about on the US heritage rock circuit, but this pairing of albums shows contrasting sides of their talents — like the other Retroworld reissue of their debut and third album, Hurry Sundown, they represent just part of an enduring and entertaining body of work that sounds at its best, truly timeless, fresh and invigorating. Customer evaluation for "The Outlaws Ride Again (LP)"